The New Brunswick Provincial Nominee Program (NBPNP) has developed and launched its Express Entry Labour Market Stream (EELMS). This stream allows the NBPNP to use the federal Express Entry immigration selection system to meet New Brunswick’s specific labour market and demographic needs. The highest ranked candidates are invited to apply to the NBPNP by email. 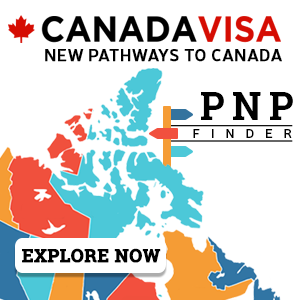 Applicants to the NBPNP will, if nominated, be processed through the federal government’s Express Entry electronic immigration management system, which aims to process complete applications within six months of submission. NOTE: Proof of sufficient settlement funds is not necessary if the applicant has a valid job offer of arranged employment in Canada, or if he or she is currently working or authorized to work in Canada. Potential candidates must score at least 67 out of 100 points on a points grid that measures education, language ability, work experience, age, adaptability factors, and whether the candidate has an arranged job offer from a New Brunswick-based employer. Candidates must have a completed Canadian secondary or post-secondary educational credential OR a completed foreign educational credential from a recognized institution or authority AND an Educational Credential Assessment (ECA) report issued by an organization designated by IRCC. 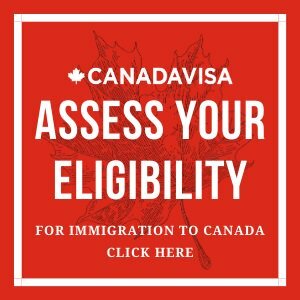 An ECA is used to verify that a candidate's foreign degree, diploma, certificate (or other proof of credential) is valid and equal to a completed credential in Canada. The ECA report will also indicate the authenticity of foreign educational credential(s). * Degree program must be in Medicine, Veterinary Medicine, Dentistry, Podiatry, Optometry, Law, Chiropractic Medicine or Pharmacy. The occupation related to the degree must be NOC 2011 Skill Level A, and licensed by a provincial regulatory body. Candidates may earn up to 28 points for their skills in English and French. Points are given based on the candidate's abilities in reading, writing, listening, and speaking. Points may also be awarded for official second language capacity. If a candidate want to earn points for his or her skills in both English and French, her or she must provide language test results for each language at the same time. Calculate language points: candidates must meet the minimum level of CLB 7 (for the first official language in all four language areas). To get points for the second official language, candidates must meet the minimum level of CLB 5 (in all four language areas). In National Occupational Classification (NOC) 2011 skill level 0, A, or B.. The National Occupational Classification (NOC) is a system used to classify jobs in the Canadian economy. It describes duties, skills and work setting for different jobs. Candidates will earn points based on their age on the day that they are invited to apply for permanent residence by IRCC. A candidate will receive points if he or she has a valid offer of permanent employment from a New Brunswick employer. The job must be arranged before the candidate applies to come to New Brunswick as a federal skilled worker. in an occupation in Skill Type 0, Skill Level A or B of NOC. not contravene any existing bargaining unit agreements or be in any employment disputes. the current employer has made an offer to employ the applicant on a full-time, non-seasonal, indeterminate basis in a NOC Skill Type 0, Skill Level A or B occupation in New Brunswick once a permanent resident visa, if any, is issued. An applicant must demonstrate his or her genuine intention to settle in the province. In addition, he or she must meet federal criteria listed in the following table to gain points. If the applicant has an accompanying spouse or common-law partner who will also immigrate to Canada, he or she can earn points for adaptability, too. An applicant cannot claim points for a spouse who is a permanent resident living in Canada or a Canadian citizen. Even if an applicant qualifies for points under several criteria, he or she may only receive a maximum of 10 points for adaptability. The principal applicant earned points under Factor 5: Arranged Employment. The principal applicant completed at least two academic years of full-time study (in a program of at least two years in duration) at a secondary or post-secondary school in New Brunswick. Full-time study means at least 15 hours of classes per week, and the applicant must have remained in good academic standing (as defined by the school) during the period of full-time study in New Brunswick. The principal applicant's spouse or common-law partner completed at least two academic years of full-time study (in a program of at least two years in duration) at a secondary or post-secondary school in New Brunswick. Full-time study means at least 15 hours of classes per week, and the spouse or common-law partner must have remained in good academic standing (as defined by the school) during the period of full-time study in New Brunswick. The principal applicant's spouse or common-law partner completed a minimum of one year of authorized, full-time work in New Brunswick. The principal applicant`s spouse or common-law partner’s level of language proficiency in either English or French is at the CLB 4 level or higher in all four language abilities (speaking, listening, reading and writing). To receive these points, an applicant must submit a copy of the language test results from a designated testing agency with his or her application. Results must not be more than two years old on the date that the application is received. If required, an applicant may have to attend an in-person interview in New Brunswick. The applicant will be notified if such an interview is required. are unable to provide proof of required amount of funds. Applicants must have either a post-secondary academic degree requiring at minimum three years of full-time study, or a diploma in a specific trade requiring at minimum two years of full-time study. Have the funds to settle in New Brunswick. This category targets qualified business people who will own and actively manage a business that will contribute to New Brunswick’s economy. The applicant must assume a day-to-day management role in the business. Score 50 points on a selection grid. If all other eligibility criteria (outlined above) are met and the business plan is approved, applicants will be assessed according to five selection factors. In order to qualify for the Business Applicant Stream, candidates must score a minimum of 50 points. Applicants are assessed based on the number of years they have owned a business or worked as a senior manager in a business during the last five years as well as based on the type of management experience. Applicants are required to take a business trip to New Brunswick, prior to submitting their application, in order to become better acquainted with the province's business environment. The trip must be a minimum of five full business days, not including travel days, interview days, and statutory holidays. During the trip, applicants are required to conduct extensive research. It is recommended that candidates set up meetings with various business people and officials in New Brunswick to aid in this research. Following the business trip, applicants are required to participate in an interview with an NBPNP official to discuss the findings of their trip including topics such as identification of business opportunities, labour requirements, competition, suppliers, market trends, taxes and financials, etc. The New Brunswick business trip and the interview with an NBPNP official must take place within one year of the date on the candidate's Notice of Interview. Other topics relevant to the immigration application. Under the Business Applicants stream, all candidates are required to submit a business plan with their application. The business plan is a written document explaining how the business will operate. In order to qualify, the applicant must control a minimum percentage of equity in the business, equal to or greater than 33.33 percent. If the applicant can provide proof that a minimum $65,000 CAD business investment has been made, and all other requirements are met, a maximum of $30,000 CAD may be refunded to him/her. If applicable, a partnership agreement has been finalized and signed by all parties involved. If the applicant is unable to establish a business within two years of landing in Canada, he or she may make a written request to NBPNP for an extension. There is no guarantee, however, that the extension will be granted. In the event that the applicant fails to establish and operate an approved business within the first two years of landing in Canada, and no extension is requested or granted, the province of New Brunswick will retain the full deposit. If the applicant is not granted a Permanent Resident Visa, the deposit will be refunded in full.